Planning a visit to Oklahoma City? Oklahoma’s capital city is a budget-friendly family travel destination in the Heartland which offers many fun or educational activities that are absolutely free. 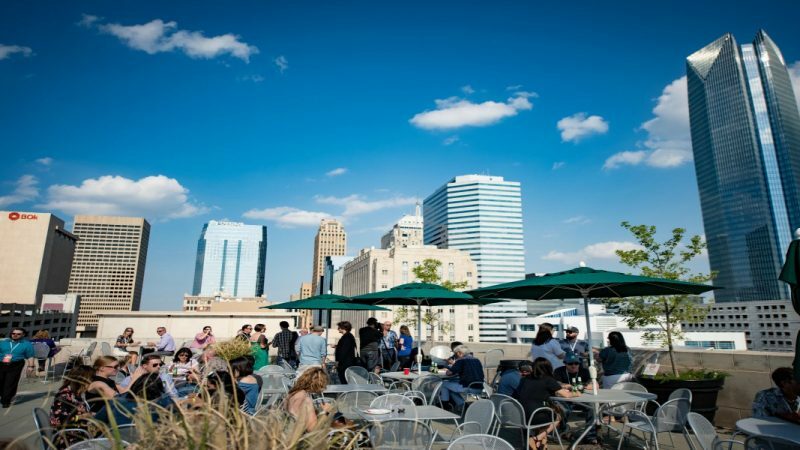 Check out this list of must-do free activities for all ages for your next visit to Oklahoma City. There are free things to do in Oklahoma City for the whole family. Find 11 free things to add to your itinerary from museums to parks, to historical sites. Oklahoma may not be the first destination that pops to mind when planning a family vacation. However, this beautiful and history-rich state is a surprising hidden gem for family vacations. As a family on a debt free journey, we love that Oklahoma is also a budget-friendly place to explore. And I always find something new, even though I lived there for four years. One Oklahoma destination to add to your budget-friendly itinerary is the state’s capital, Oklahoma City. 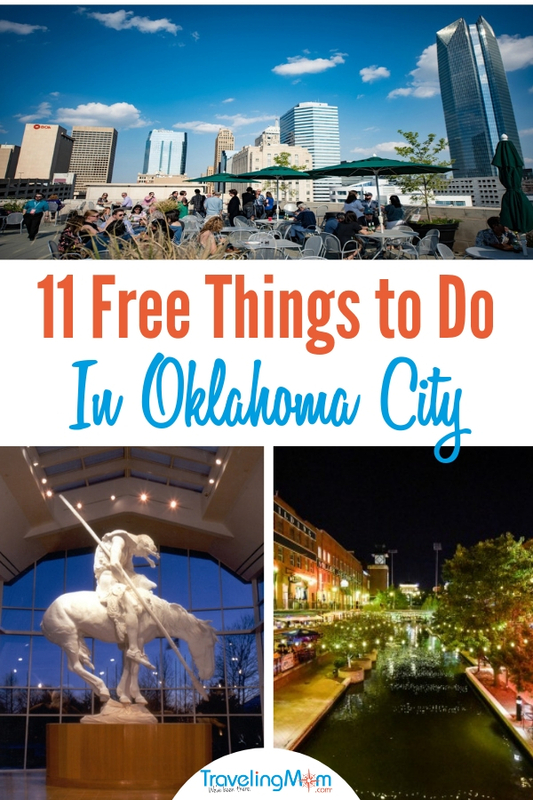 Oklahoma City is full of completely free things to do for the whole family. Take the kids to learn about Oklahoma heritage and enjoy a free craft. On the third Thursday of every month beginning at 10 a.m., admission is free and the craft is included! What kid hasn’t dreamed of being or pretended to be a cowboy at least once? Dreams come true for kids at the National Cowboy and Western Heritage Museum, where parents will find an educational free outing for the whole family. 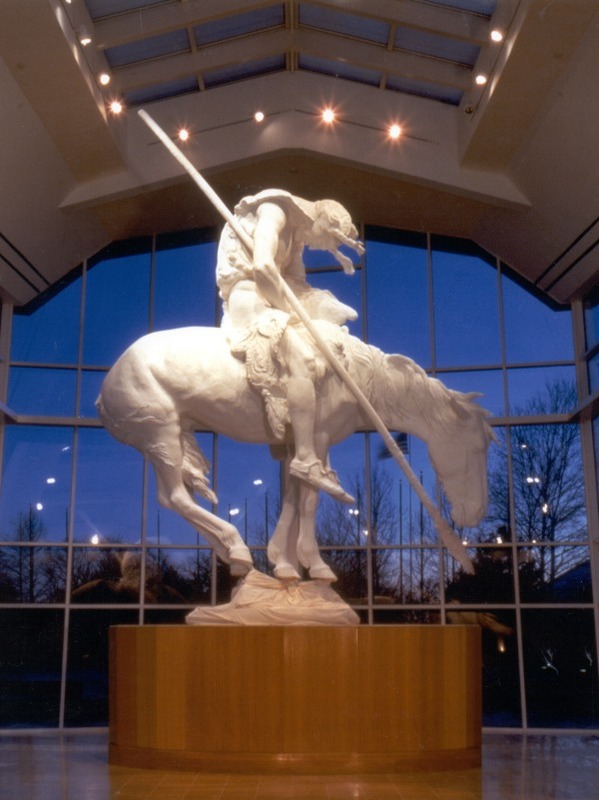 The National Cowboy and Western Heritage Museum features Western history, art, and culture and opened in 1955. Photo Credit: Oklahoma City Visitor’s Bureau. Best of all, it’s totally free on the first Saturday of each month as the museum features a program called Saturdays for Kids. The program allows kids to experience the exhibits and history of the American West hands on. Trains have been capturing the imaginations of kids for generations. Admission to the Oklahoma Railway Museum is free and it is open Thursday, Friday, and Saturday. There is an additional cost for train tickets; trains run the first and third Saturdays April through August. 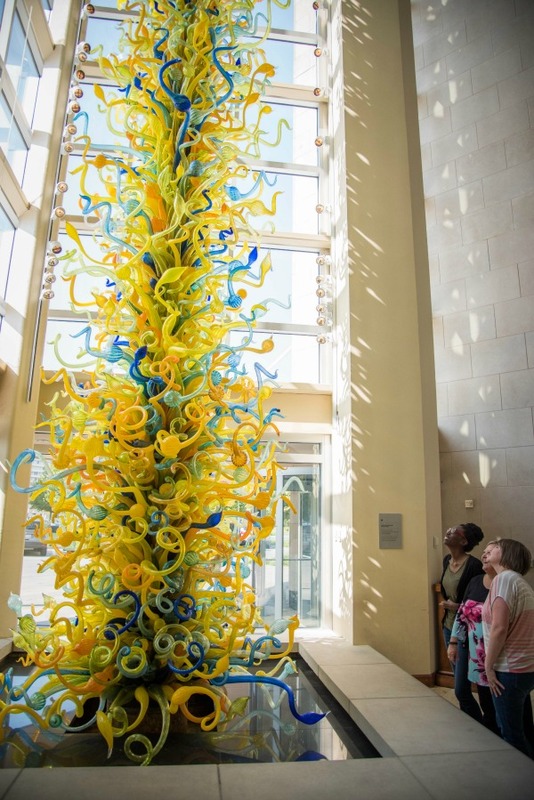 Featuring vibrant contemporary art, stunning Chihuly glass pieces, Ansel Adams works and rotating exhibits in their art galleries, the Oklahoma City Museum of Art in the City’s arts district is absolutely free on select Sundays in the spring and fall. While you’re there, you can check out the gift shop, the full-service cafe, and the movie schedule. Visit their website for free admission dates, current exhibits, and movie showtimes. Oklahoma City is rich in natural beauty and a great place to get outside. Martin Park Nature Center is the perfect place for families to do just that. Free to the public, Martin Park Nature Center offers 2.5 miles of trails, a visitor center with animals, a nature center and a nature-themed playground and outdoor recreation. For more fun for animal lovers, Oklahoma City Zoo offers free admission on sales tax appreciation day. Check their website for details. If you’re visiting Oklahoma City through May, visit the Governor’s mansion for free every Wednesday. Hours are 12 to 3 p.m. and reservations are required. It’s just a mile from the State Capitol. Bricktown is a great place to take teens and tweens on a visit to Oklahoma City. It’s a district of lively restaurants, shops and entertainment venues with live music. 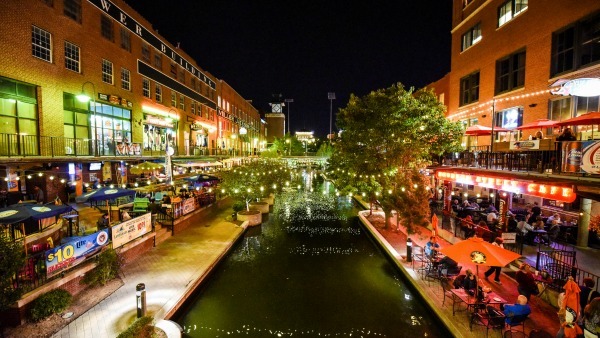 Bricktown is Oklahoma City is the go-to spot for trendy shops, restaurants, and lively atmosphere. Photo credit: Oklahoma City Visitor’s Bureau. It has a cool industrial vibe with the repurposed warehouses. A waterway runs through the district and water taxis take you to your destination. These cost but the atmosphere is absolutely free. 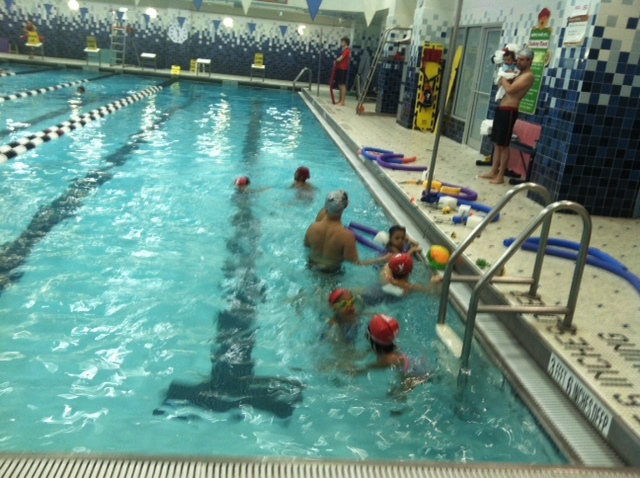 Check for special events. Take your tweens or teens to experience the history they will be learning about in class at the 45th Infantry Division Museum. The museum is one of the largest military museums in the country and offers indoor exhibits like World War II artifacts and firearms. Outside you’ll find air crafts, tanks, and more. Check the museum’s website for days and times. The museum is free but does accept donations. Oklahoma offers the largest driveable stretch of historic Route 66 with over 400 miles of the Mother Road. If you’re visiting Oklahoma City with teens this is a great opportunity to let them drive the road that built America. The famous Milk Bottle Building is one of the many quirky and historic landmarks along arguably the most famous road in America, Route 66. Photo credit: Oklahoma City Visitors Bureau. Route 66 is full of quirky and historic places to visit, including The Milk Bottle Building. 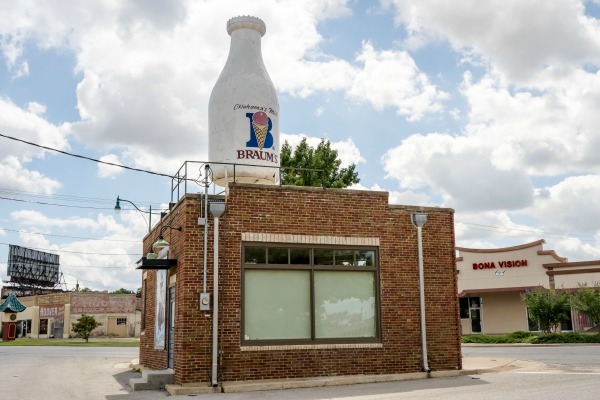 Built in 1930, this store features a can’t miss large milk bottle on top. The store is on Classen Boulevard, which is part of the original Route 66. Drive historic Route 66 and go for Oklahoma’s famous Bruam’s ice cream. 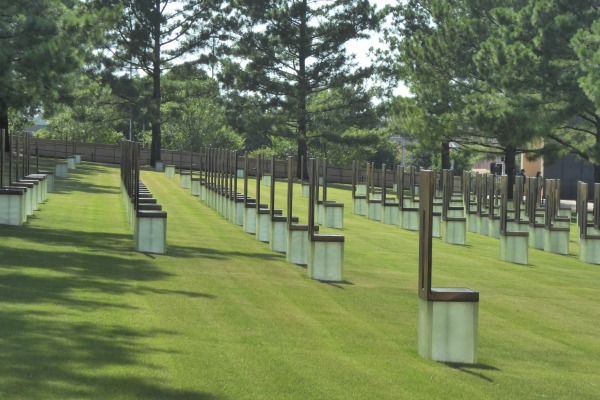 The Oklahoma City National Memorial offers a beautiful place to learn and reflect on the impact of that day for teens and tweens who may not have even been born when the bombing happened. The Memorial grounds are free to visit. Oklahoma City is filled with completely free things from museums, to parks, to historical sites for families. Add a few (or all!) of these to your OKC itinerary for a budget-friendly family vacation. 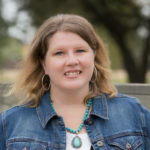 Kathy Penney's love of travel began with her first drive across her native Texas to Big Bend National Park as a child. She is passing along that love to her children while sharing their story to inspire all families to travel including special needs families like hers. When she's not sharing her family's adventures on her blog you can find her in their travel trailer discovering a new campsite or park or on her way to Walt Disney World for one of their frequent trips or leading her son's Scout meeting or taking her daughter to gymnastics. Life traveling with a busy preschooler and a gifted ADHD boy can be hectic but Kathy wouldn't have it any other way.